I'm Dan, your typical family man, solution architect at USALLIANCE, and marathon runner for a cause. This is my third time running the Boston Marathon with Credit Union Kids at Heart. This great organization funds many research projects at Boston Children’s Hospital to fight pediatric diseases. 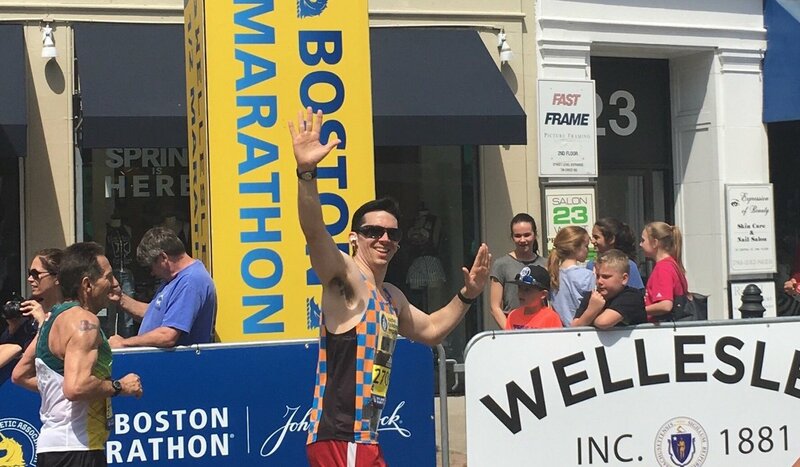 Running the Boston Marathon is definitely not an easy task, but I’ve found it’s easier when you’re passionate about your cause and also get into a strict training schedule. My mornings usually start around 5:00 a.m. when I wake up to walk my dog and enjoy a cup of cold brew. Then I kick-start my training and either head out for a run or focus on strength training with squats, deadlifts, lunges, pull-ups, military press, bench press, and a few other cornerstones. These exercises build up my muscular base to help shore off injuries that can occur when running 25-50 miles a week. Once I’m done, I get my two-year-old son up and ready for daycare, shower, and head to work. As a solution architect for USALLIANCE I pair technology with business needs or issues. It’s the kind of role where my mind is constantly engaged because I’m always learning new things. To keep my body engaged at the office, I get up every 45 minutes to an hour and take a walk or stand at my desk to keep the blood flowing. Even when I’m at work I’m training. When I return home, my dog and I share another walk and I pick up my child. My loving wife, son, and I enjoy some family time and then I get started on stretching and foam rolling. Once we finish dinner, we relax, meditate, and go to bed. My weekends are all about long runs, which I do alone or in a group with teammates, as well as family time. Early runs are better so I can rest and then go out and about with the family. I’ve found the best way to spice up a stale training plan is to go on a weekend vacation somewhere new. The new sights and places make long runs much easier. 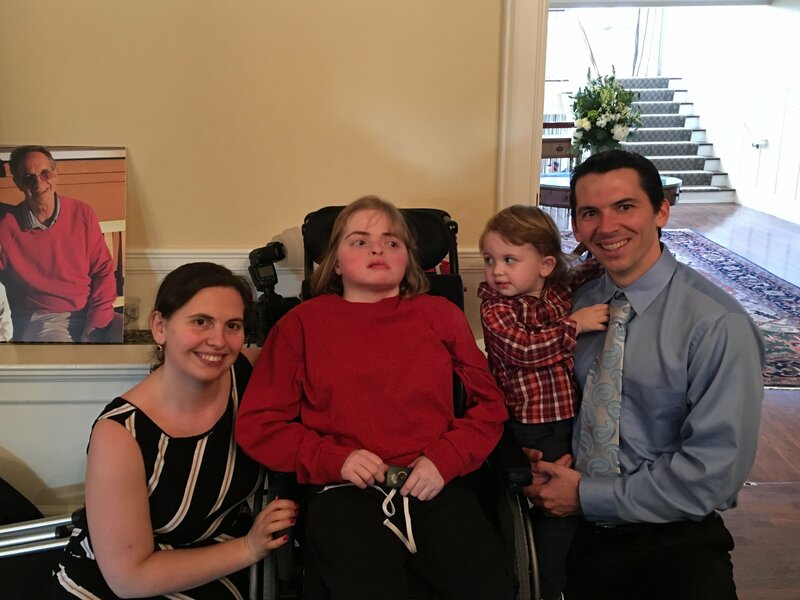 All this training to run 26.2 miles in April is completely worth it because Credit Union Kids at Heart is on target to raise $400,000 this year for research on Moyamoya disease, Sturge-Weber syndrome, Cerebral Palsy, and brain tumors. So many patients at Boston Children’s Hospital rely on us to help them, including the patient partners I’m running for. Any donation is greatly appreciated to further the hospital’s efforts and help these children in need.